Scroll down to find links for all 12 Chinese Zodiac Signs and their meanings. 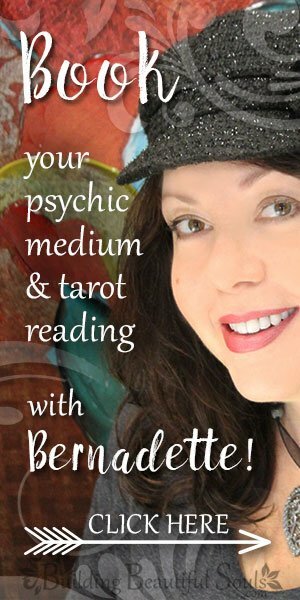 Also, click to learn all about the Chinese Astrology system! Rat people are very creative and amiable. This Chinese zodiac sign has a generous spirit, but can also be highly judgmental. Rat is very much the opportunist and does well in entrepreneurial endeavors. 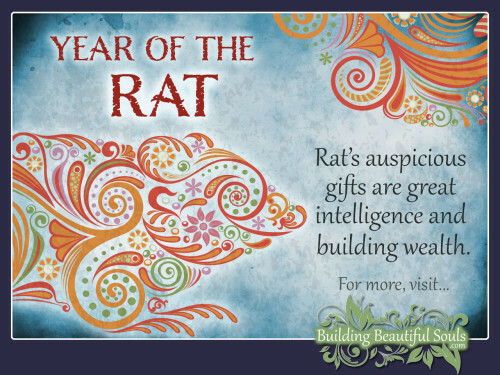 Click to read more about the personality, traits, & characteristics in the YEAR OF THE RAT. Ox people are good leaders and loyal friends. Sometimes, though, this Chinese zodiac sign becomes “bull-headed” as they usually feel that their way is the “right” way. 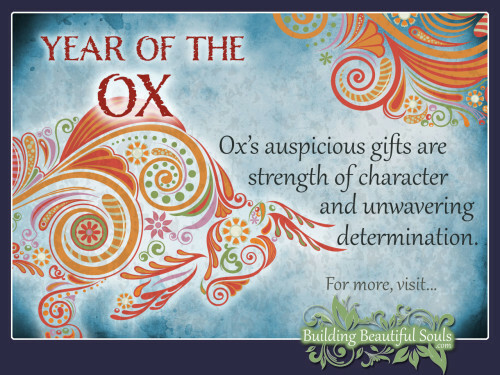 Click to read more about the personality, traits, & characteristics in the YEAR OF THE OX. Tiger people are sensitive souls that sometimes go a little overboard. This Chinese zodiac sign is a rebel with a cause, however, and is happiest when ferociously fighting for justice or a cause they truly believe in. 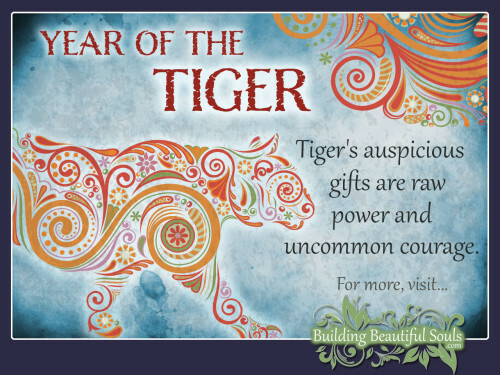 Click to read more about the personality, traits, & characteristics in the YEAR OF THE TIGER. Rabbit people sentimental folks who know a good snuggle makes anyone’s day. People enjoy being around this Chinese zodiac sign because they have a pleasing, friendly personality. Dragon people talk and live on a bigger stage than other signs. Everything they thing, say, and do is larger than life. 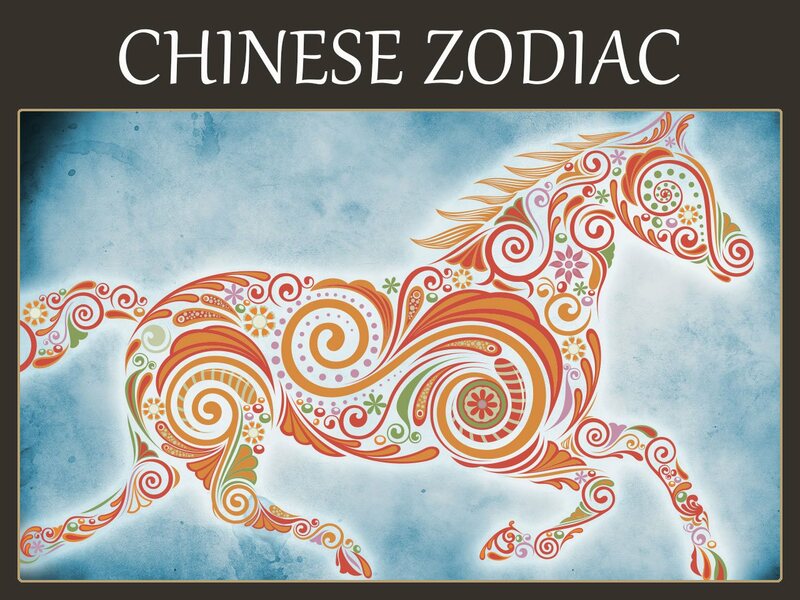 Quick witted, charming, & full of fun this Chinese zodiac sign is has a fiery passion for all life has to offer. 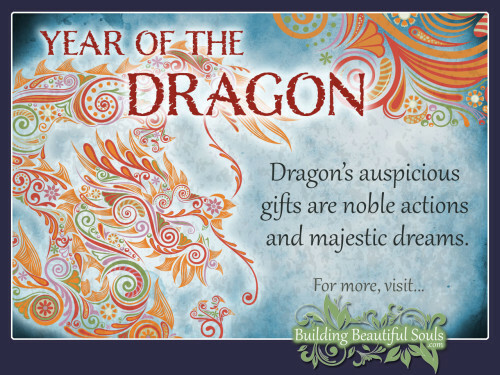 Click to read more about the personality, traits, & characteristics in the YEAR OF THE DRAGON. Snake people are the most psychic of all the signs. Their minds and all 6 senses are constantly engaged. This Chinese zodiac sign has one goal in life – to give and receive unconditional love. 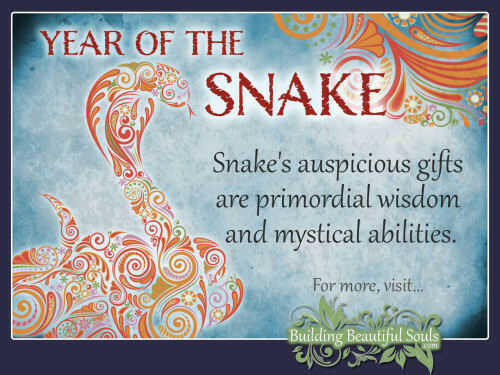 Click to read more about the personality, traits, & characteristics in the YEAR OF THE SNAKE. Horse people are independent and must have freedom for their spirit – no matter the cost. This Chinese zodiac sign has a great work ethic, is highly intelligent, and is a natural born leader. 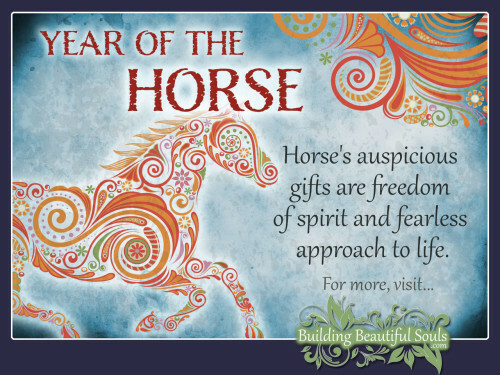 Click to read more about the personality, traits, & characteristics in the YEAR OF THE HORSE. Sheep (Goat) people are so gentle and loving, sometimes it can seem like they are true angels on earth. However, this Chinese zodiac sign should not be underestimated. They have a quiet strength that can move mountains. 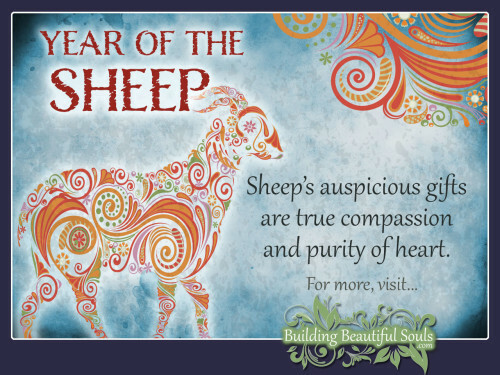 Click to read more about the personality, traits, & characteristics in the YEAR OF THE SHEEP. Monkey people move fast in thought, word, and deed. Their confidence never waivers. This Chinese zodiac sign is highly intelligent and world renown for their legendary sense of humor. Rooster people are extravagant and love anything that draws attention to them. This Chinese zodiac sign is unafraid to be ‘different’. They are progressive thinkers and doers. 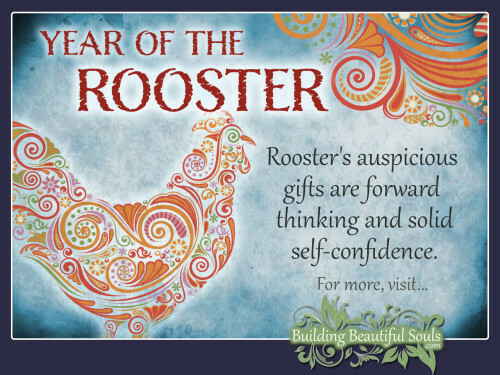 Click to read more about the personality, traits, & characteristics in the YEAR OF THE ROOSTER. Dog people are faithful, trustworthy and work hard to protect those they care about. This Chinese zodiac sign puts other’s needs above their own and goes epic lengths to help those in need. 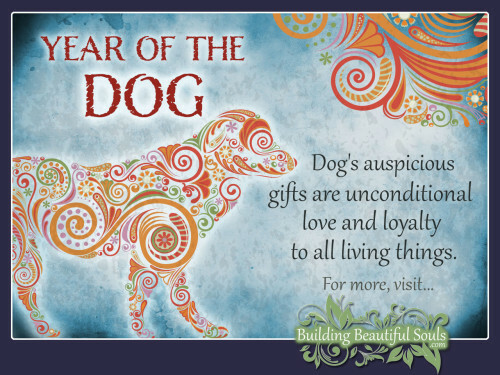 Click to read more about the personality, traits, & characteristics in the YEAR OF THE DOG. Pigs people are the Mother Teresa’s of the world. Their kindness knows no boundaries. This Chinese zodiac sign is the most altruistic and likely to spend their life involved in humanitarian efforts. 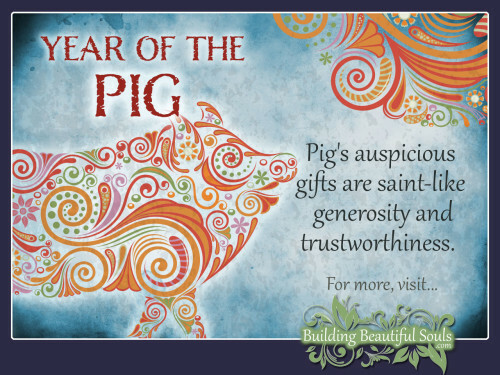 Click to read more about the personality, traits, & characteristics in the YEAR OF THE PIG. The story behind the Chinese Zodiac begins with the Jade King who lives in the heavens. From there he couldn’t see all that happened on the Earth. Having become curious about animals, he consulted with his advisers to see which creatures should be welcome for a visit. The first invitation was to the Rat who was asked to invite Cat too. Rat conveniently “forgot” that invitation. Other animals that received the King’s request were the Ox, Tiger, Rabbit, Dragon, Snake, Horse, Ram, Monkey, Rooster, Dog and Pig. All the animals were told that one of the 12 signs would be awarded a place in the Celestial progression based on the order in which they arrived. Cat caught wind of the race and traveled with Rat unwittingly. When they reached a river, the gentle and generous Ox offered to get them across. Again Rat took an opportunity and pushed the cat into the water, then jumped off the Ox to the shore, becoming the first Zodiac Sign. Ox was right behind them followed shortly thereafter by Tiger. Rabbit managed the river’s flow by jumping on rocks. Dragon had no need but was deterred in his arrival when he saw people in need of rain. Horse and snake came afterward, Horse having been frightened at first by the Snake’s appearance. Goat, Monkey and Rooster were the most cooperative of this motley crew. They worked together to reach their goal and all were rewarded. Dog came in 11th having been distracted by a romp in the water and then finally Pig arrived having stopped for a nap along the way. Cat finally arrived 13th, but it was too late. It is said that cats chase mice to this day because of the jealous actions of that first Rat. 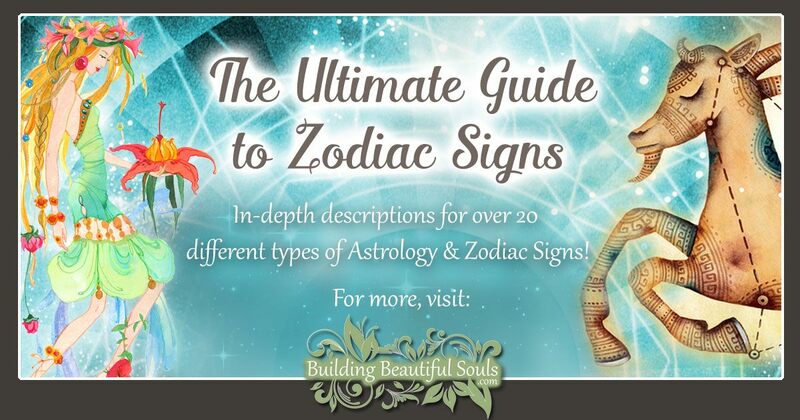 How does Chinese Astrology & its Zodiac Signs “work”? 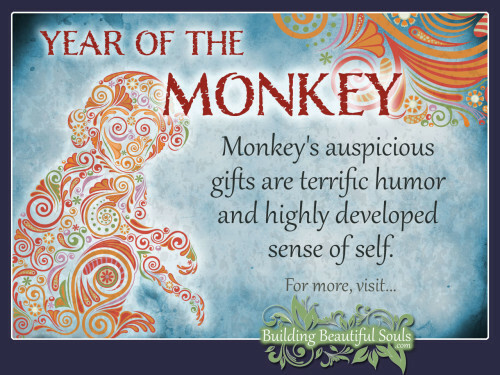 What a beautiful form of divination is Chinese Astrology. The Chinese Zodiac’s exploration of a person’s traits, personality, and characteristics are deep and resoundingly accurate. 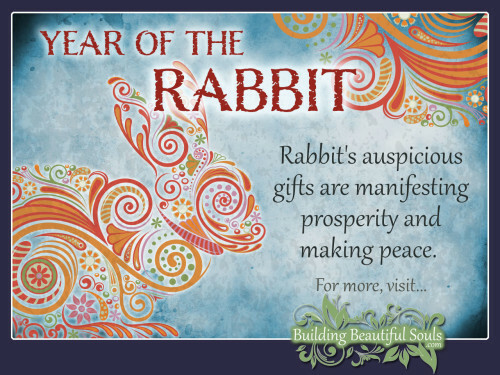 As with all the Eastern culture’s healing and divination practices, the Chinese Zodiac system “sees” the human spirit as connected to all parts of nature and approaches its Zodiac Signs with a holistic view of who we are born to be as well as who we can become based on our own choices. Chinese Astrology is based on cycles of time rather than planetary influences as is Western Astrology. Additionally, Chinese Astrology (Sheng Xiao) has a 12 year cycle whereas Western Astrology bases its system on 12 months. However in Western Astrology, no matter the year, a person born in mid October will always be a Scorpio. But in Chinese Astrology, your Zodiac Sign depends on the year you were born rather than the month because the 12 year Chinese Zodiac Calendar is a repeating calendar of time. Meaning: 2014 is The Year of the Horse. There will not be another Horse Year for 12 years making 2026 the next Chinese Horse Year. Further, Chinese Astrology is based on a lunar rather than solar calendar and each of the correlating 12 Chinese Zodiac Signs has an associated animal. As with all types of astrology, the Zodiac Sign under which you were born is said to influence the way your life unfolds in the earthly realms. But Chinese Astrology also focuses on potential situations and outcomes, thus allowing us a sort of ‘sneak peek’ into the future. Armed with this information we can make decisions that will potentially make our paths smoother, happier. Just as in all forms of Astrology we are so much more than just our Zodiac Sign. Just as birth years have associated animals they also have elemental correspondences. WOOD: Wood has a strong trunk, meaning once you decide something you can stand firm. This element is active with lots of initiative, compassion and imagination. When wood hits an obstacle it becomes remorseful and stressed out. When you succeed you share that victory. Feng Shui recommends surrounding yourself with living plants for positive energy. FIRE: The fire persona is very “in your face”. There is no hemming and hawing with this type of person – just speak your mind. Some of the characteristics you can expect in a fire person include perception, leadership, zeal, vigor and enthusiasm. People regard you as being somewhat eclectic and periodically jealous. Feng Shui recommends looking to interesting collections that feed your spirit like old coins and artwork. EARTH: If you are an Earth person your friends see you as very practical, dependable, trustworthy and thoughtful – in other words “salt of the earth” type qualities. You’re very instinctive, but sometimes get carried away with “things” rather than action. Feng Shui recommends comfortable items that keep you well-grounded in your native element. METAL: The Chinese Zodiac portrays metal people as ones with strength, a love of freedom, great communication skills, virtue and the attitude of gratitude. Metal is strong minded but not as emotional as some other elements. You can keep it “cool.” Feng Shui suggests that the best way to support the Metal Element is through orderliness and organization. WATER: Water supports creativity. Water people have a good deal of wisdom and the ability to sway others. This is a very passionate element yet one with an air of mystery. If you’re a water person you probably do a lot of ruminating. Feng Shui recommends cool, dim spaces when you’re feeling overwhelmed. Another way in which people apply the Chinese Zodiac is in determining who might be the best match for friends, lovers or life mates based on their birth animal sign.